The Manager of Real Estate Operations will play a key role in scaling up the business. S/he will work closely with the Director of Real Estate Operations on cross-functional initiatives to improve how real estate acquisition, design & construction, & asset management operate individually & collaborate with other departments. 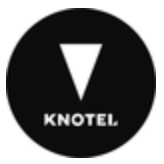 Named a Business Insider Top 50 Startup & New York's Hottest New Workspace Model, Knotel has over 100 locations across more than 2 million square feet in New York, San Francisco, London, & Berlin. Founded in 2016, Knotel has raised $160 million in funding. Knotels member network includes companies like Starbucks, Cheddar, & King. Visit Knotel.com to learn more.